The Paris Saint-Germain forward, who celebrated his 20th birthday last week, has enjoyed a brilliant past 12 months for both club and country. At PSG, Mbappe teamed up with the likes of Neymar and Edinson Cavani to win a domestic treble in his first campaign at the Parc Des Princes. 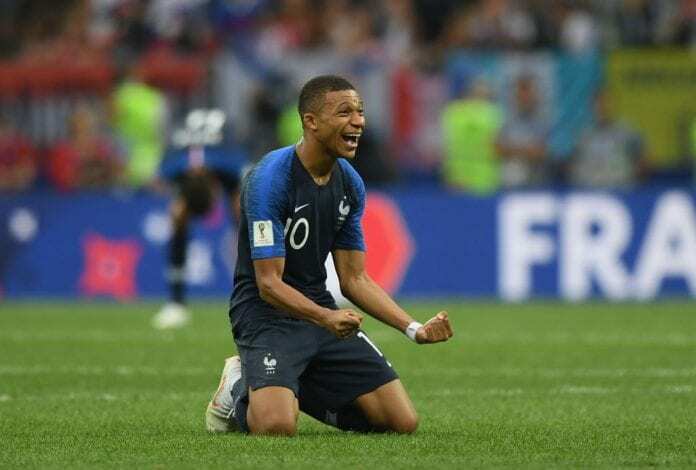 Soon afterwards, the rising young star shined at football’s biggest stage in the World Cup – where he helped France to a second title at Russia. Mbappe ends 2018 with 30 goals to his name and was recently awarded the inaugural Kopa Trophy, which goes to the world’s best U21 player. Aside from that, Mbappe also finished fifth in the Ballon d’Or rankings. According to the former French Ligue 1 striker, the 20-year-old is the biggest star in Paris Saint-Germain, ahead of Neymar. Now France Football have named him the country’s best player of 2018 with Real Madrid’s Varane and Atletico Madrid’s Griezmann close behind in the votes. Last year’s winner for the French Player of the Year was Chelsea midfielder N’Golo Kante.